This week is a historical for us here at Boombotix. 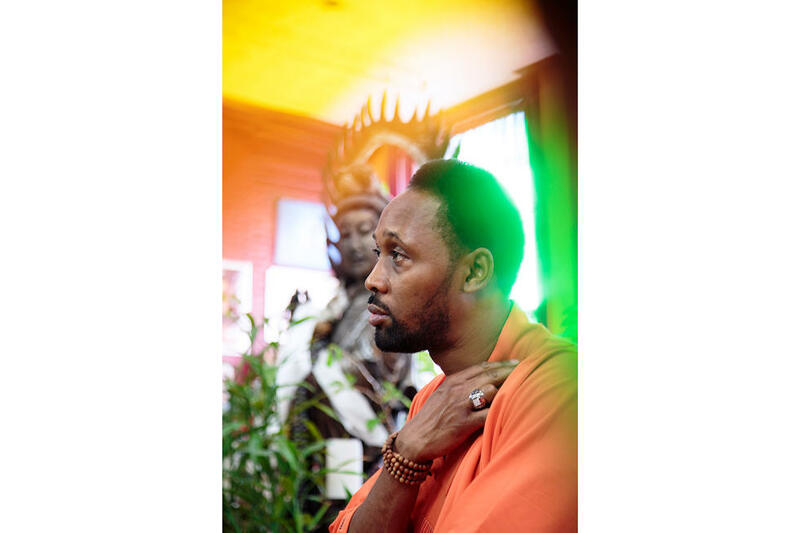 Along with the release of the Boombot PRO, we’ve worked with RZA to tie in a digital content release under Achozen. RZA has worked closely with Shavo Odadjian of System Of A Down to help us create a unique blend of hip-hop rock-metal. When I first heard the album, my first reference was the Blade Soundtrack; It incorporated heavy bass lines fused with guitar riffs creating a vibe that could have come off the tables of KRS-One. It’s hard-hitting, guttural, and masculine, and yet, there are no cuss words!? The Achozen project has been an active discussion on internet forums starting in 2008 when the group released its first song, “Deuces.” This LP has a number of artists jumping on to help produce and we’re glad to wrap this into the launch of the Boombot PRO. The Boombot PRO features eight exclusive songs from the as yet unreleased Achozen LP. Described by Odadjian as an organic record developed from musicians “just mixing beats and crafting sounds,” the album features other top names such as George Clinton, and John Frusciante. This endeavor revives 90’s-era nostalgia for garage bands famously known for jamming through the night. The Boombot PRO is designed for those that demand the highest level of audio performance. Later this week we’ll get in deep detail about the design, but the basics are that the speaker incorporates pro-tuned acoustics, built-in flash storage, the rivaled Boombotix clip-on design and a waterproof hybrid construction that is capable of withstanding submersion up to three feet. Released with the PRO is the smaller version, the MINI, which boasts only five ounces of weight and sound that rivals all other speakers of equal size. We’re happy to announce the release of a limited edition Boombot REX for the final tour of the Grateful Dead. We’ve worked closely with Rhino Records/Grateful Dead team to craft this design to reflect the long standing legacy of this group. With a big focus on content, we wanted to incorporate several tracks that capture the journey through their careers. Each limited edition Boombot REX will also come with a link to download three classic Grateful Dead songs: “Truckin’,” “Ripple” and “Touch of Grey.” David Lemieux, the band’s official archivist, chose these three songs because of their importance to the Grateful Dead’s career. Two “Miracle Tickets” to the sold-out June 28th concert in Santa Clara, Calif. will be hidden in one customized red, white and blue Boombot REX featuring the famed “Steal Your Face” and original 50th anniversary artwork. The speaker with the “Miracle Tickets” is being sold through Target.com. We developed the project in conjunction with Warner Bros. Music Group for licensing of the musical compilation embedded in the limited edition Boombot REX. The Grateful Dead Boombot REX will be available exclusively at Target.com. See if you can be one of the few to score a “miracle” ticket.